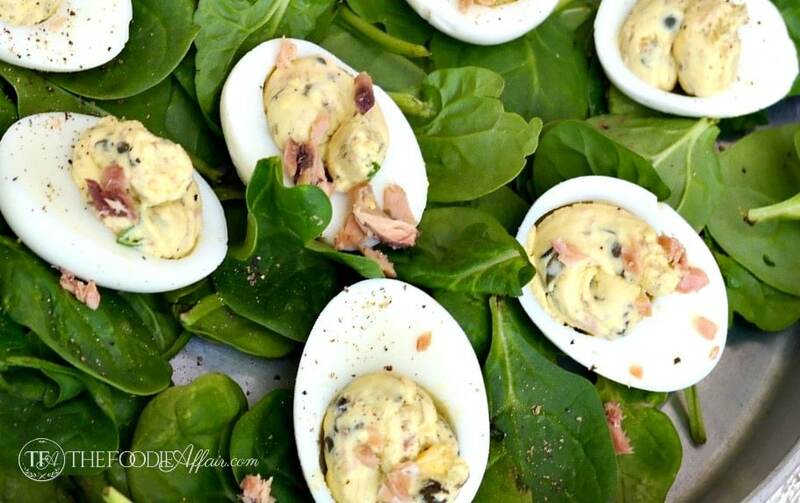 Smoked Salmon Deviled Eggs - a twist on the classic! 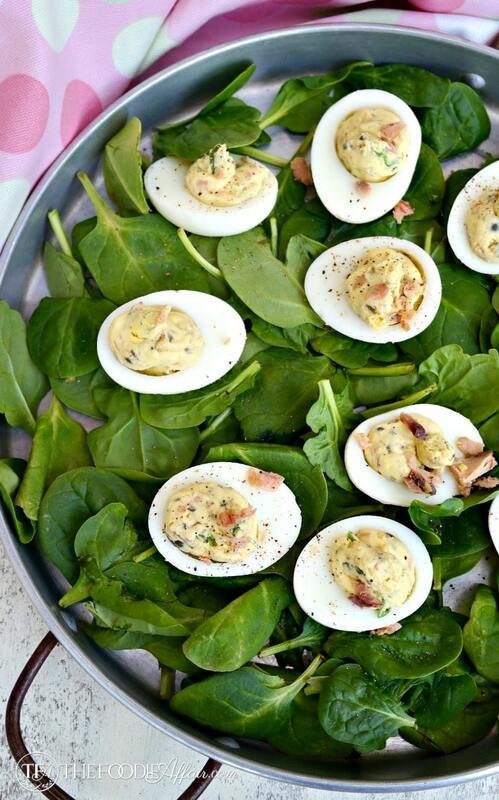 A delicious twist on the classic deviled eggs! 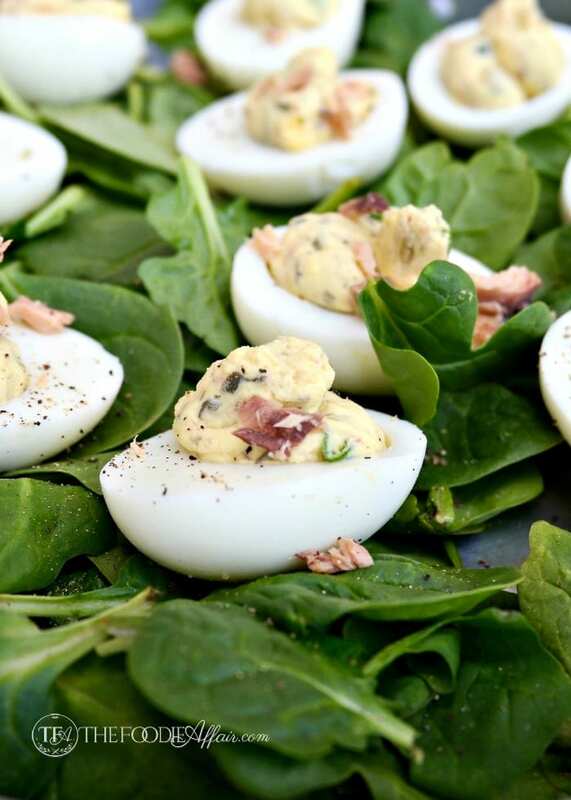 These Smoked Salmon Deviled Eggs easily transform into a favorite party appetizer or snack! No egg coloring happened at my house this year. In fact, I can’t remember the last time I bought an egg coloring kit! We’re in tradition transition, I believe. My kids are young adults on their own, so some of the holiday family fun like Easter egg decorating has dwindled away. I suppose it’ll pick up again when our kids have their own families, but I’m not anticipating grand-little-ones for at least a decade! Although the Easter egg hunt is on hold, we always have the refrigerator stocked with boiled eggs! Alan and I snack on them every day, and our eggs are quite pretty! Brown and tan adorned with a few black speckles, which are just fine for these flavorful Smoked Salmon Deviled Eggs! I brought these fancied up eggs along with my Asparagus Fontina Tart to my parent’s house for our Easter celebration, and now I wish we didn’t gobble them all up because these are a perfect pick-me-up mid-day snacks! The flavor of the salt from the capers and salmon are delicious together. I used mostly Greek yogurt instead of mayonnaise in the egg mix, which keeps this snack or appetizer healthy. You also might like this Dill Deviled Eggs recipe. 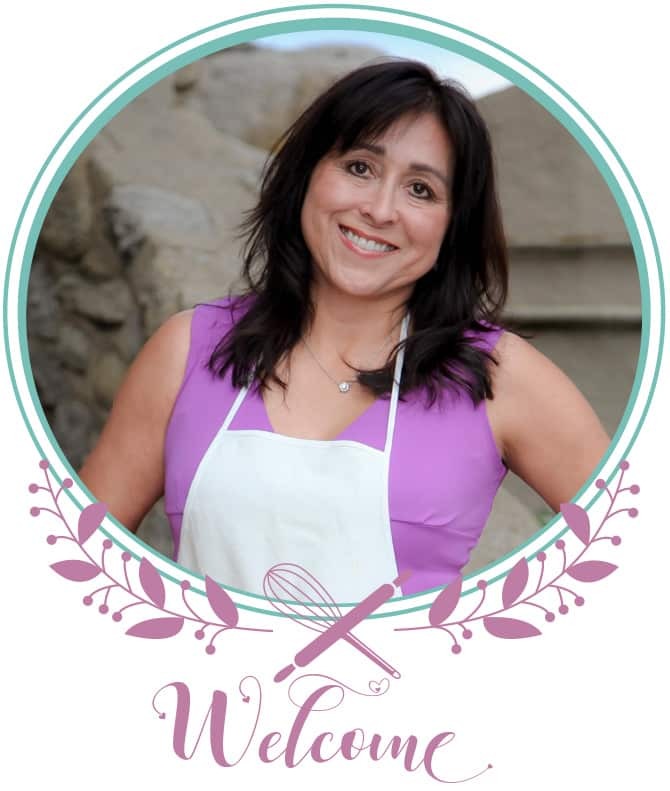 I also explain my favorite way to cook hard boiled eggs in that post! Peel and halve the cooked eggs lengthwise. Put the yolks in a small bowl. Add the salmon, green onions, yogurt, mayonnaise, capers and lemon juice. Mix together and season with black pepper. Fill each egg and season with additional pepper. Those would be a perfect addition to any brunch menu! yum! Those look so good. I love your take on deviled eggs by adding the smoked salmon. This is such a yummy twist to the traditional eggs. I love it for a brunch! Such pretty pictures!! My son loves deviled eggs and salmon. I bet he’d love these. Smoked salmon and capers pair so beautifully with deviled eggs. I could easily eat two or three of these as a meal. We didn’t color eggs at my house either. My little one isn’t big enough to enjoy it yet so it’s on hold for another year or 2. These deviled eggs sound so yummy! My husband will probably LOVE these! What a great idea to add smoked salmon (in my case Nova since I really do not like the taste of salt)to a deviled egg mixture. It would make the perfect snack or lunch or appetizers for a party! You have made a deviled egg masterpiece with your Smoked Salmon Deviled Egg recipe. Thanks for giving me a great idea for deviled eggs. I love smoked salmon in deviled eggs. I so something like this and top them with caviar for New Years. Delish. Love you addition of smoked salmon to the deviled eggs, copying your idea, thanks for sharing. Your deviled egg dish look so presentable!I love your addition of smoked salmon! I love the addition of smoked salmon in your eggs Sandra! Delicious combination! Smoked salmon in deviled eggs would make my youngest son, probably both my son’s, very happy. I must try this soon! This recipe looks delicious! That’s like my dream combo…Smoked salmon and eggs. Yum! Those look so good, I’ve never tried making them any way other than just deviled. 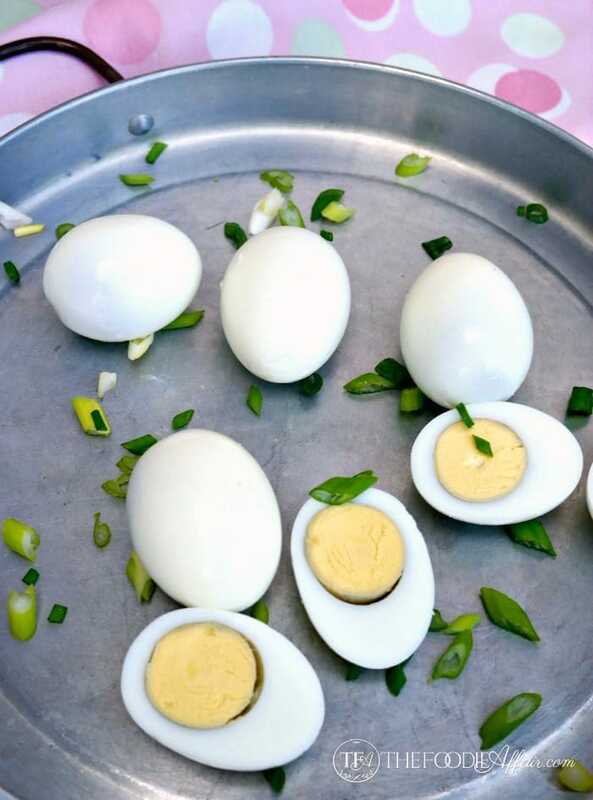 What an elegant twist on a classic deviled egg! These look amazing! I’ve never had them, but this recipe sounds delicious! I love the way you laid them on the spinach! 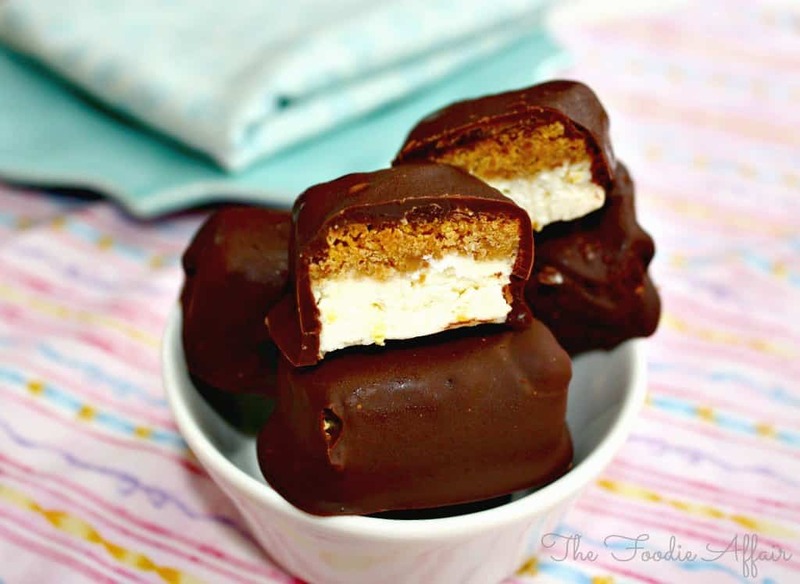 These cheesecake bites are mini squares of creamy cheesecake dipped in melted chocolate. These sweet little cheesecake bites were inspired by the Lemon Cheesecake Squares I made. As I was putting the berries on top of each slice and topping with a sprinkle of powder sugar, I was dreaming up another creation for the cheesecake….